Seeing his child excel in school is the greatest gift Sanaila Makora of Mouta, Macuata could ask for during Father’s Day, yesterday. 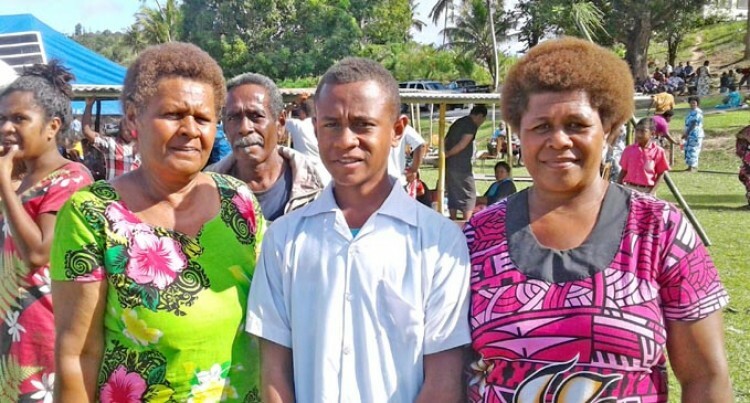 Fourteen-year-old Sekove Makora told his parents last year that he was no longer interested in continuing school after he went through Year 9. Sanaila Makora said despite numerous attempts to convince him to go back to school, he refused. “After he finished Year 9, he told us he said he was no longer interested in school, but wanted to stay in the village and be a farmer,” Mr Makora said. “We had secretly hoped he would say yes as the Christmas and New Year break was coming to an end, but he still refused. Mr Makora said his son was not academically strongly inclined so they knew forcing Sekove to go back was not going to work. “We wasted no time in enrolling him at the technical college and he also agreed to giving school another try,” he said. “This is their third trimester already, my wife, Tokasa Lora, and I, are surprised at how our son has been consistently attending school. “He has even laid the foundation for a house here in Wainikoro, saying that he will see the construction through. Mr Makora said the technical school was a beacon of hope for his son and their family. The Ratu Ilisanita Malodali Technical College is one of the 12 technical institutions set up by the FijiFirst Government.